My summer kicks off with the release of Margaret’s cows from the sheds. I was on holiday on the big day, and for the first time in several years, I missed all the pent-up excitement, the expectation, the arging and barging, the galloping, the frenetic leaping into the air and bellows resounding across the valley. And that was just Margaret – though the cows were pretty happy too. Now that the cattle are out to summer pasture they often wander over to check whether the grass truly is greener. 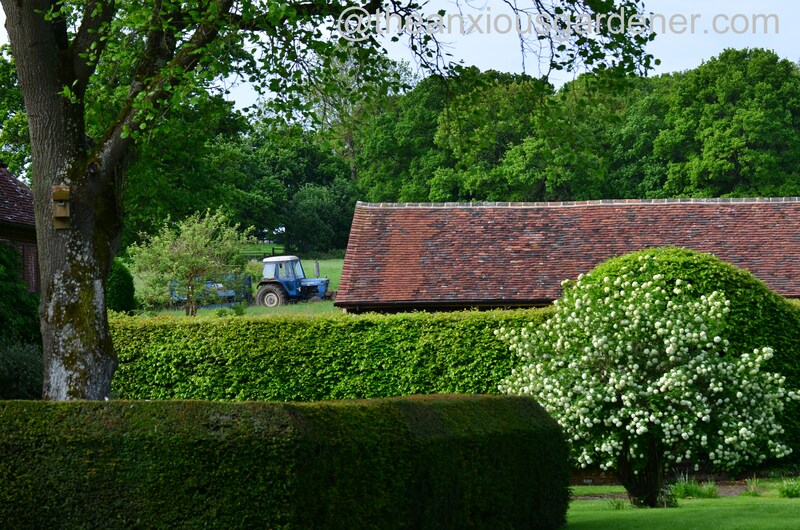 A farm-hand (or one of her ‘boys’ as Margaret calls them – though one is over eighty) spent several days chugging past the Priory, carting manure to an outlying field. The Priory seemed absurdly busy with the tractor coming and going with a loud, steady thrum, thrum, thrum (that’s the noise of a tractor engine, btw). 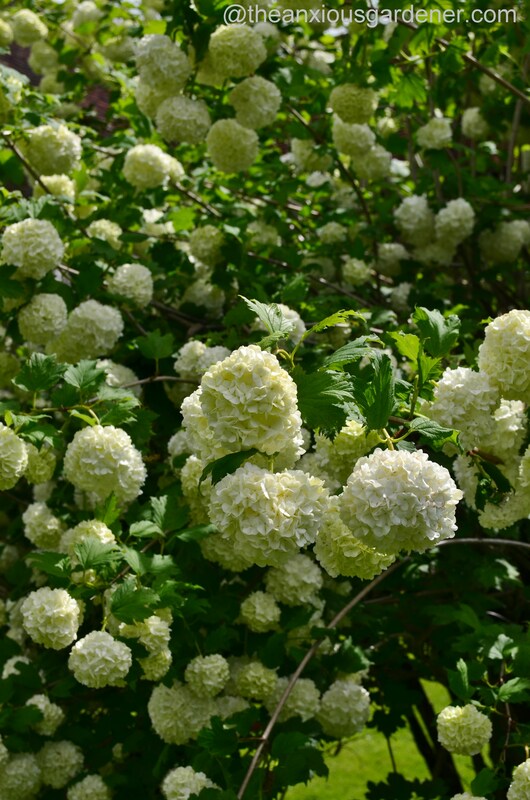 The big Viburnum opulus ‘Roseum’ put on a huge amount of flower this spring. After consulting a gardening chum, I didn’t prune it back last year. I know I probably should have; I know that those long branches bend and might snap under all that weight. 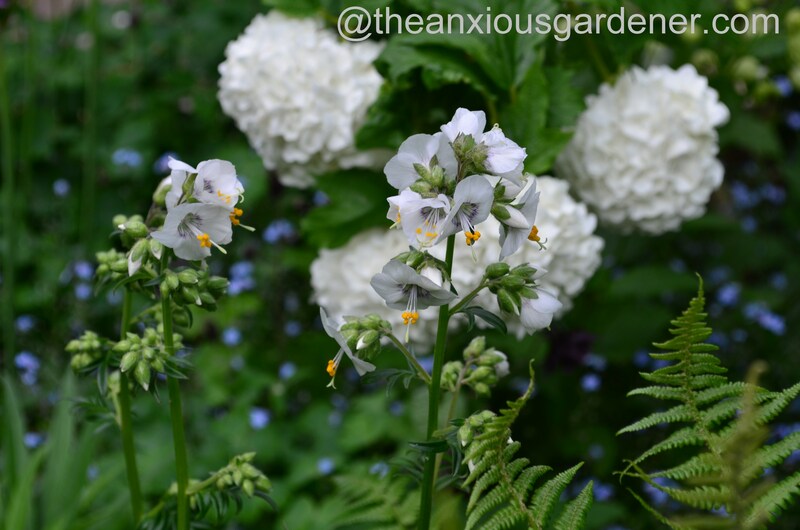 The sheer number of flower-heads from those tall, overly long stems was worth the risk. 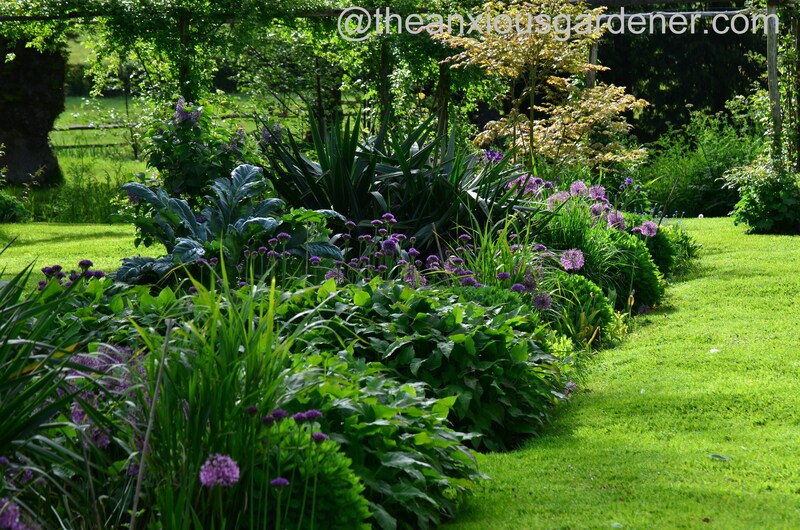 In the long borders, alliums set the ball rolling with a promise of things to come. At least, I hope there are still things to come. 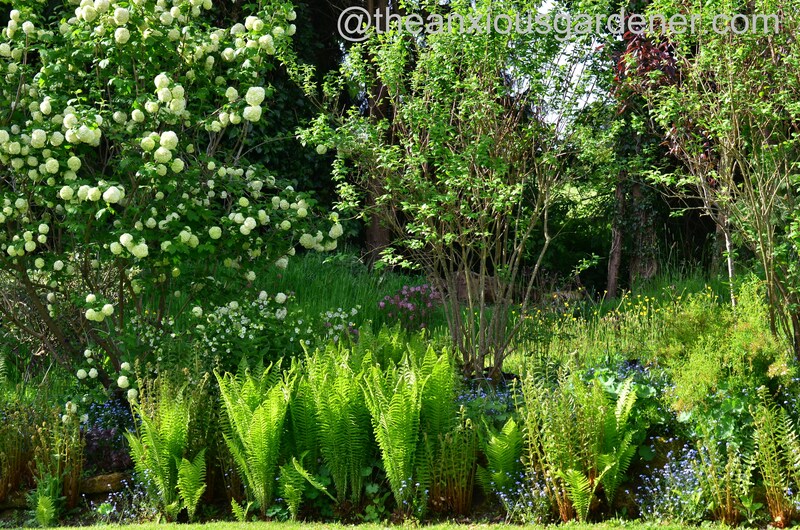 I’ve re-jigged and replanted these beds during the past few months – perhaps they are now at their peak and this is their best? Oh, dear there’s a thought. 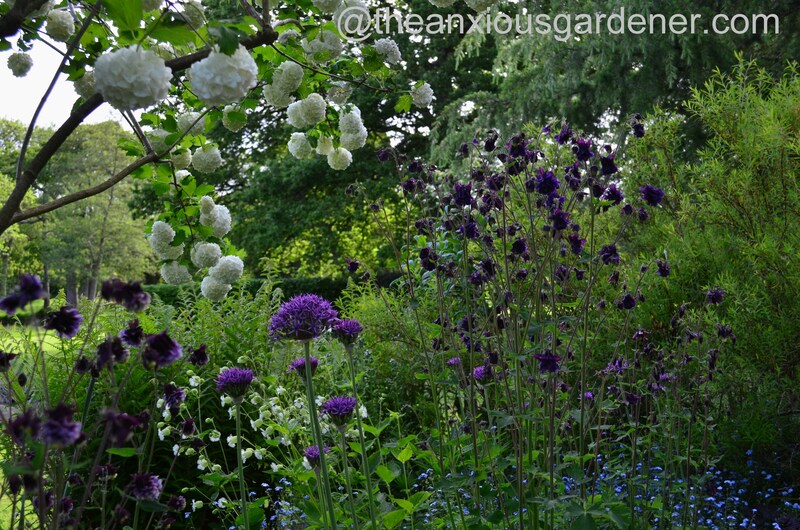 Just as well I like alliums. 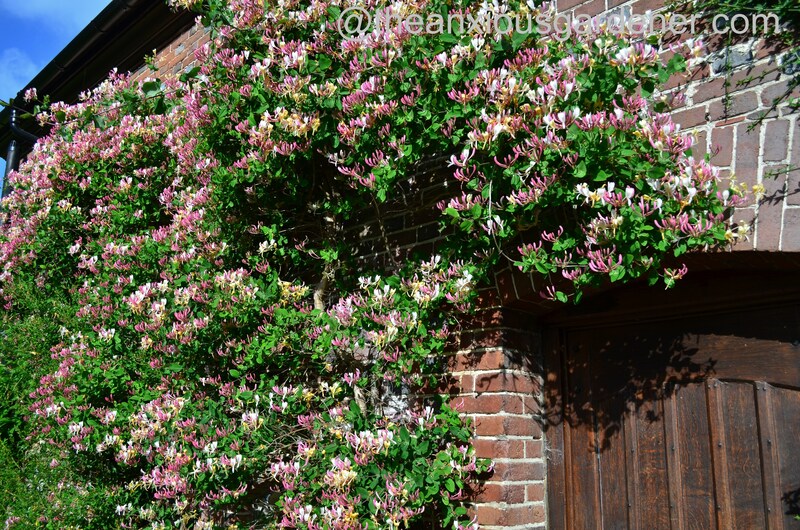 The big wisteria has finished flowering now but here it is a couple of weeks ago. There was more bloom than I was expecting given the cruelly harsh winds that shredded the flower buds. But then a late frost often robs us of any flower at all. Longer racemes would look better I think but as you know I’m not one to moan. 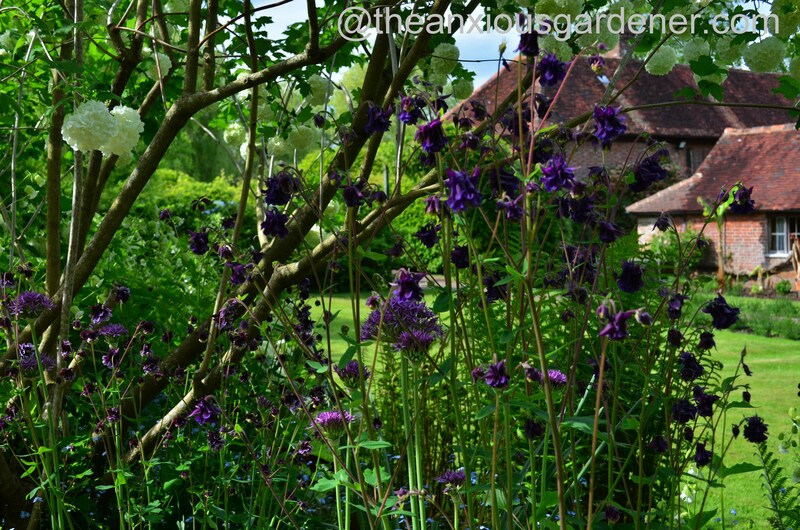 Beyond the wisteria arbour is what I call the Rock Border (because it has rocks in it) with the second of our two V. opulus ‘Roseum.’ (The ugly bare conifer trunks mark where we lost a tree last year). 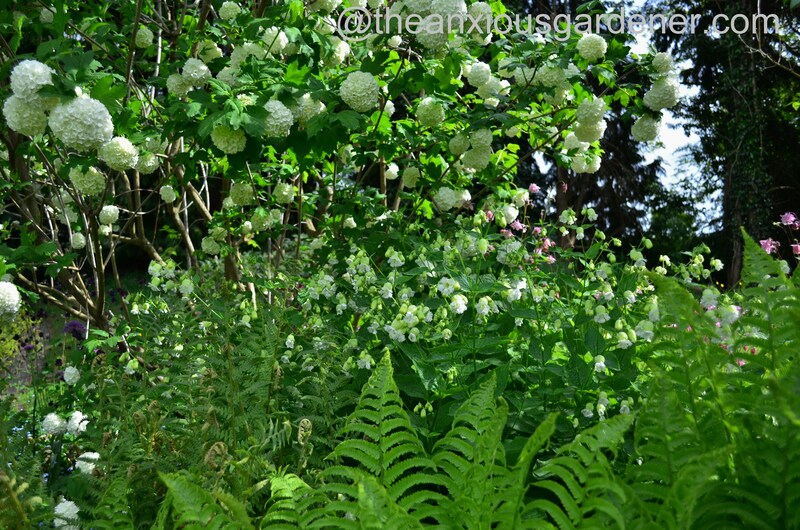 This is a spring border and was a mound of bramble, ash, bindweed and nettle when I first saw it in 2008. I’ve cleared all that stuff but still join fierce battle with ground elder – a battle I’ll be fighting until the day I leave, I fear. 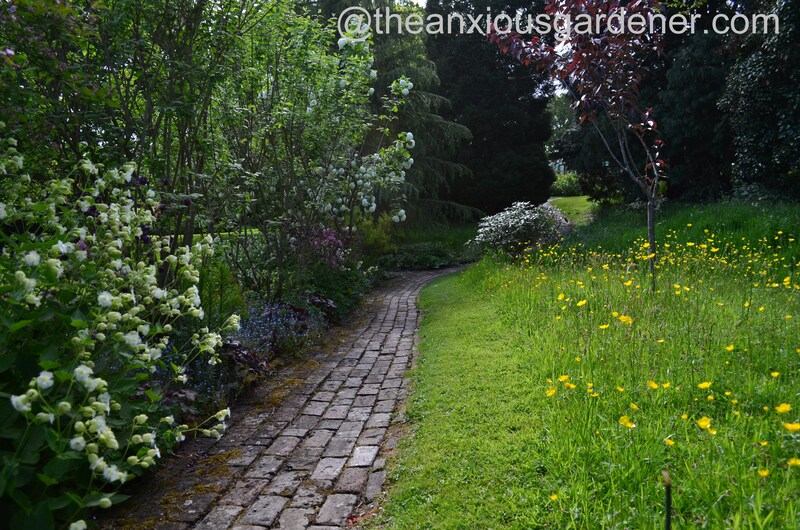 On the far side of the border, a path leads up to the greenhouses beside a small lawn left uncut until daffodil leaf dies down. 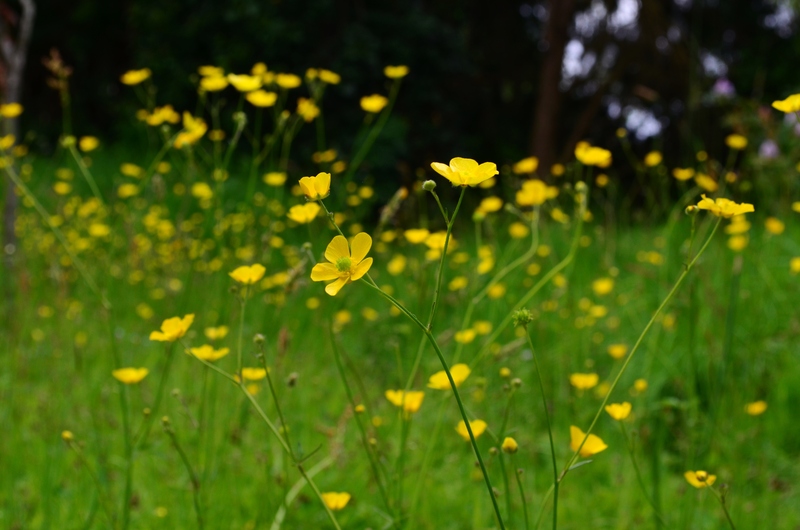 A bumper crop of buttercups is a pleasant bonus. Silene fimbriata repeats several times throughout the Rock Border (from one small clump added in 2009). 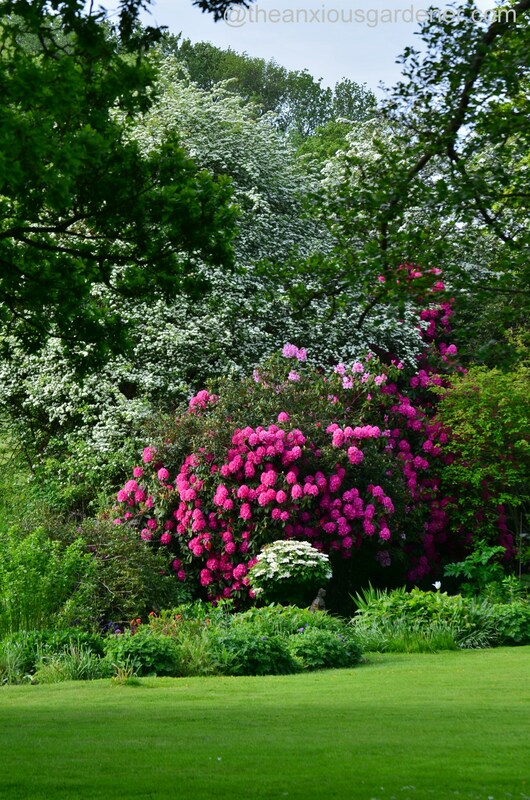 I prefer the darker colours and promise to pull up the pinks every year but – curiously – I never do. Perhaps, deep inside I’m a pink lover after all. Fancy. 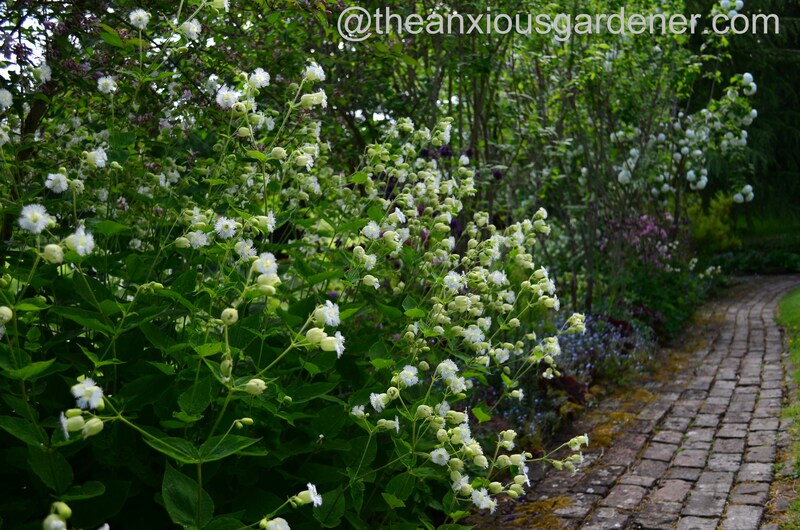 I like this border and find it as cool and inviting as a mint julep. (N.B. I don’t quite know what a mint julep is but it sounds cool and inviting). And our mollusc pals didn’t bother my veg either this year. 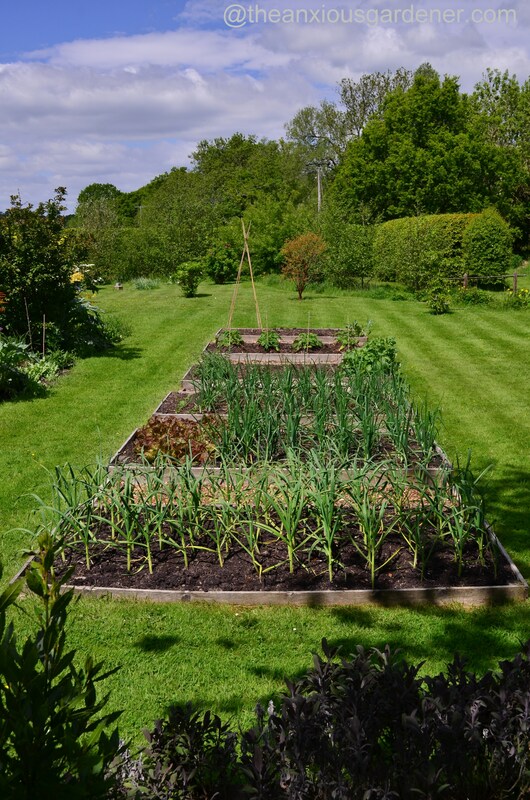 I don’t grow an exciting range of vegetables: onions, garlic, a few potatoes, beans, courgettes, salad leaves, radishes. That’s more than enough for us simple Sussex folk. and a larger one, west. The latter was a top-heavy, bare stemmed, leggy beast when I started. I have since cut its top back hard. Over several years, it has returned with renewed vigour and now fills the wall. I’ve never fed either of them. Maybe I should? those cows are forever staring at me for no good reason; and pheasant nibble my clematis. (No. That’s not a euphemism). But I wouldn’t want to work anywhere else. Particularly gorgeous honeysuckle, Dave. Looks like summer has got off to a good start in Sussex. 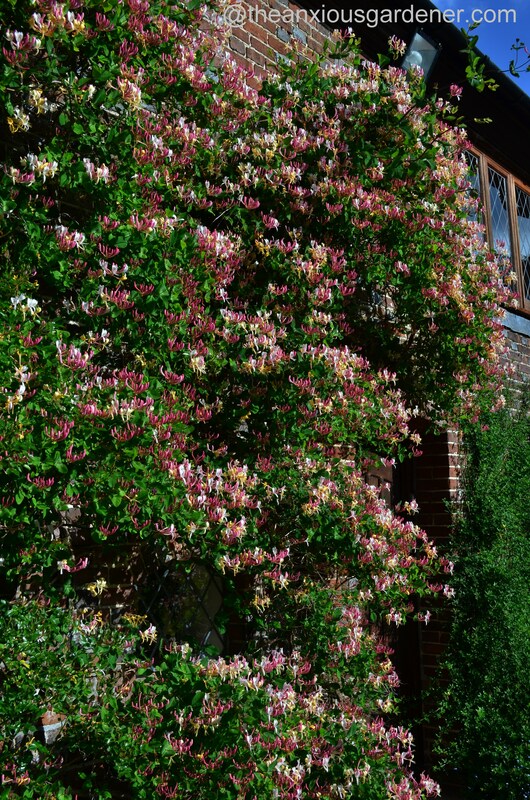 I definitely need to prune my honeysuckle. It has been so poorly I was thinking of removing it but…you have convinced met try that. Weather has been lovely in Victoria and the Dallas are thriving. Must complete the deer netting before our holidays. Thanks for the gorgeous photos. Beautiful flowers and happy cow, that’s what I like !!! 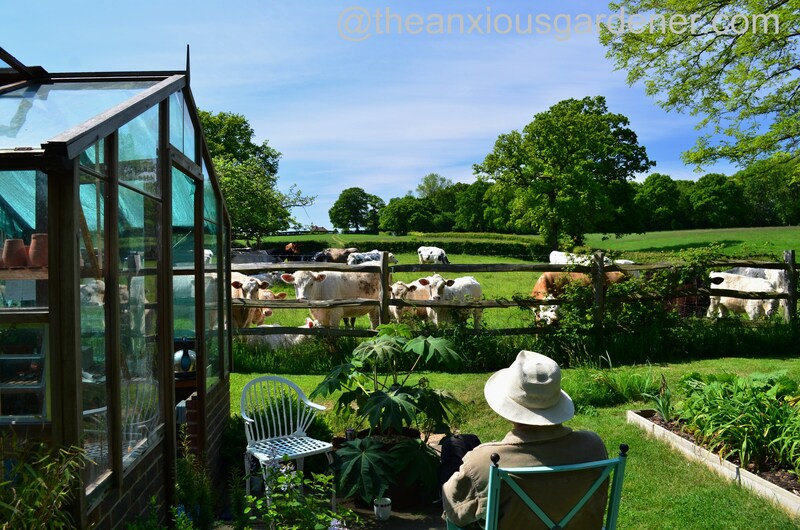 Yes, happy cows, there are not many cows who have the pleasure of living outdoors !!! 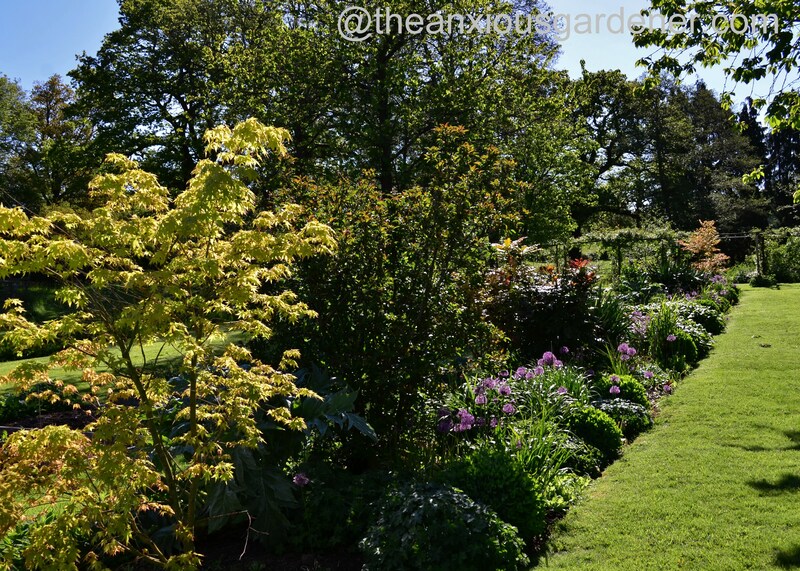 A wonderful colourful tour of the garden David, you should be very pleased with the results from all your hard work. 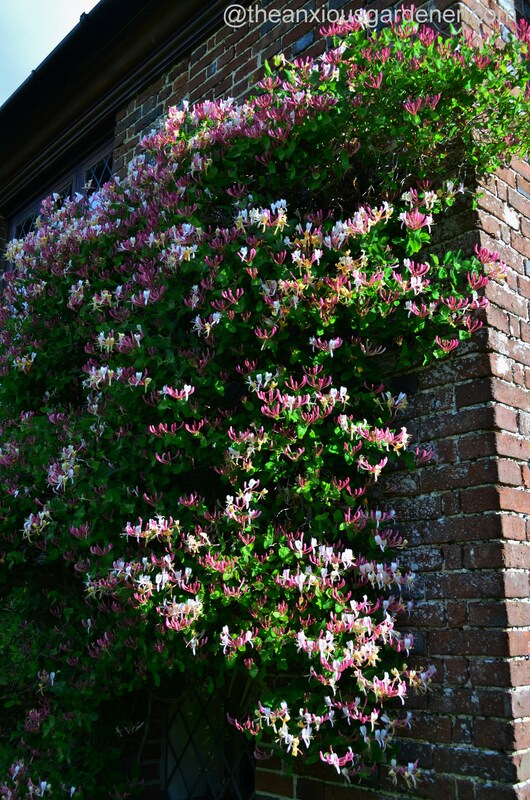 I think the Honeysuckle’s are fantastic. 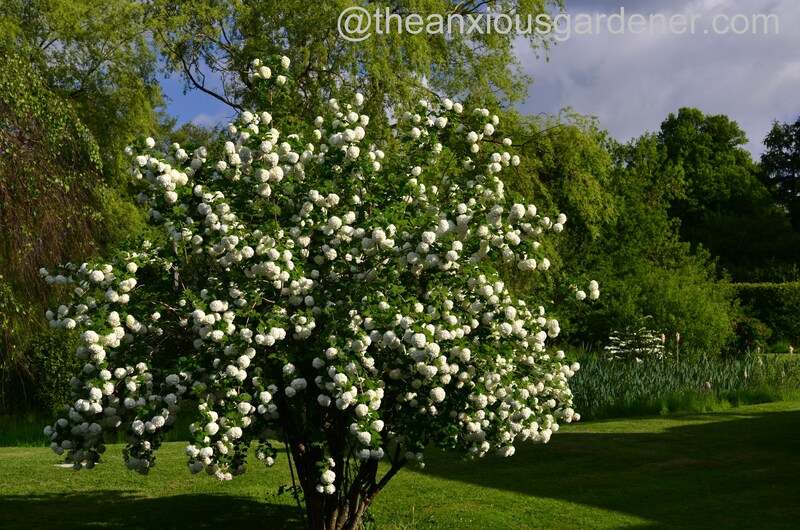 Do you prune them straight after flowering? Gorgeous! 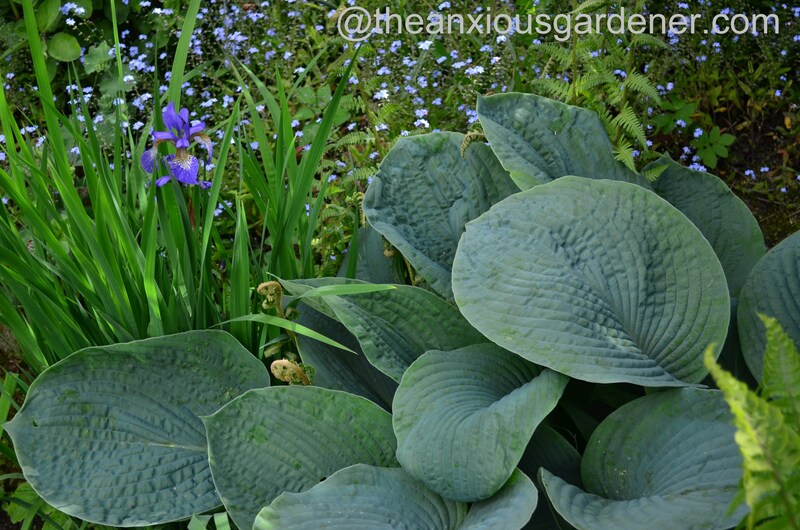 Thanks for chronicling spring in the priory and providing an armchair tour for this Midwestern gardener. It all looks perfect, all credit to you. A garden as beautiful as this doesn’t happen without a lot of hard work. I can almost smell the honeysuckle, my favorite perfume in the garden I think. 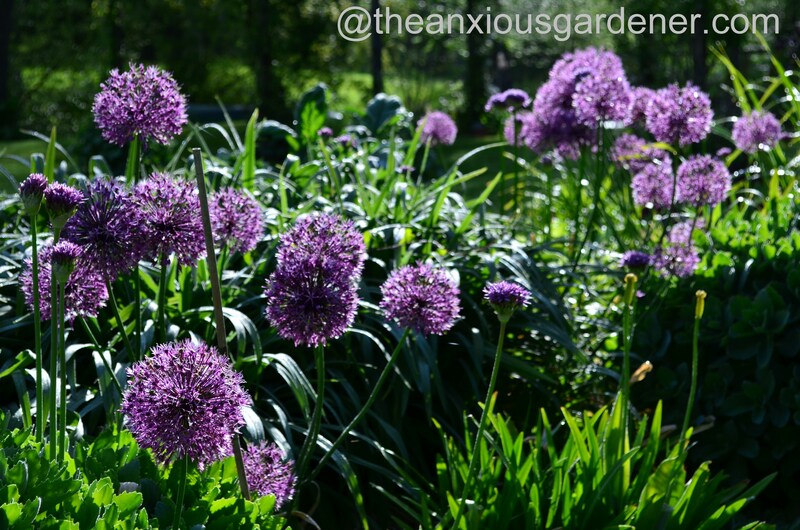 Do alliums get bigger and stronger in their second year? 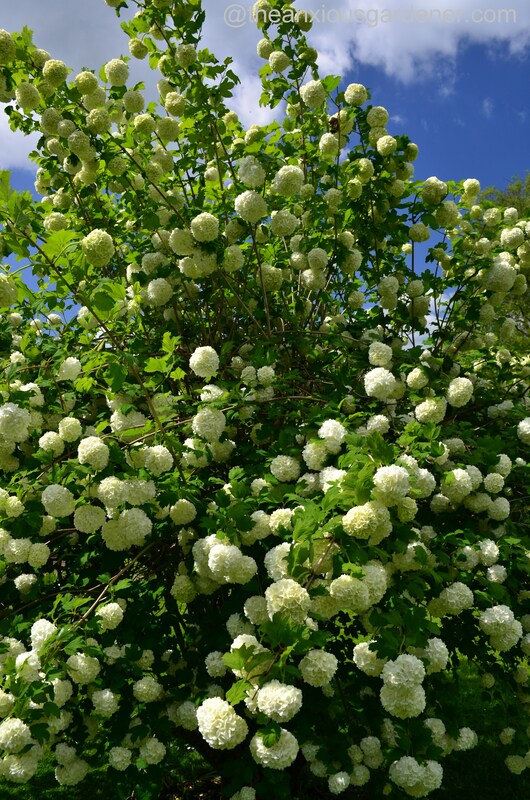 Mine were new in last autumn and they seem rather puny at the moment. The “release of the cows” post is one of my favorites in your archives. It is just divine, David. I do wish I could come and visit. 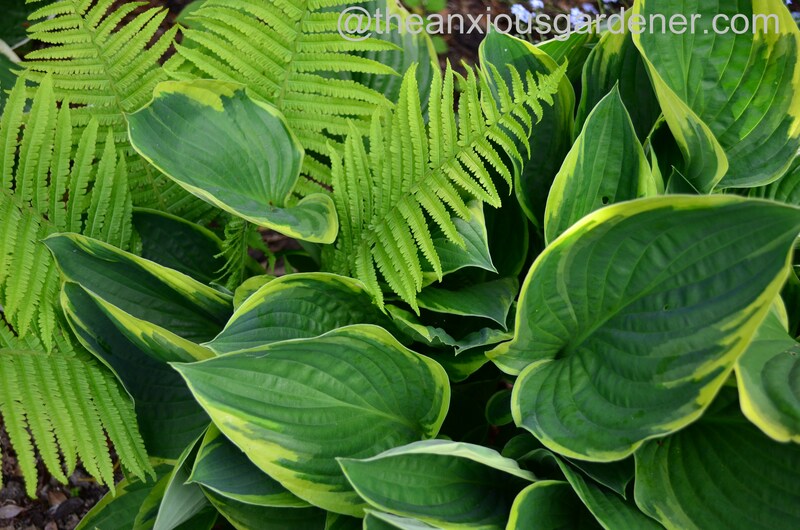 You have an amazing eye for planting combinations. It all looks so immaculate and absolutely beautiful. The cool border is something I will try to copy I think. You are blessed, I can see just why you would not want work anywhere else. Gorgeous photos too. 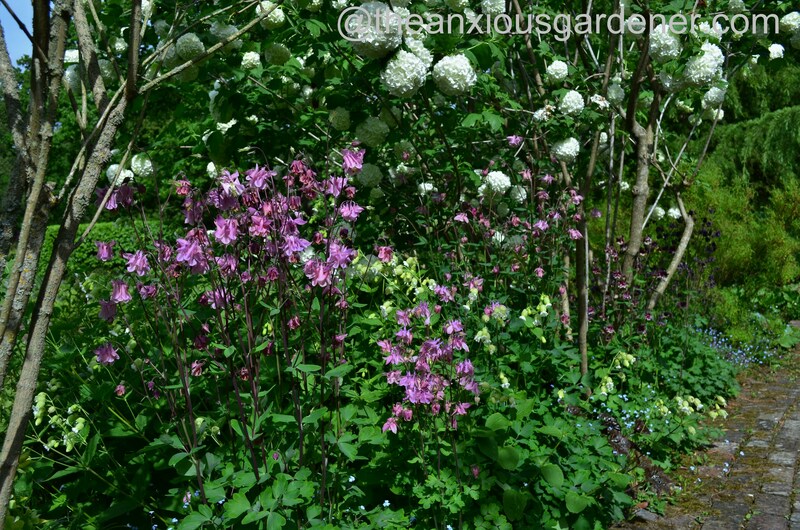 I hope things work out well for you, I have cared for gardens over a long time then moved on its a strange feeling. I have family from Seaford and a great grandfather who spent time there recuperating after the war. You are a lucky man. Keep up the good work. You are an inspiration, and way too self-effacing ! The floral display you’ve showcased so far I reckon is just an appetiser! I’m not surprised you wouldn’t want to work anywhere else, it is all wonderful.! Love the wisteria, the honeysuckle and your last photo, it’s perfect! Hi Dave – We’ve had a very strange year up here in the far North. Coldest May ever, lasting until the first week of June. Three days of heat at 22 degrees, and everything has all come out at once, together. So it’s a bit overwhelming. I might even do a blog past on it! What stunningly lovely pictures, David. Really beautiful. 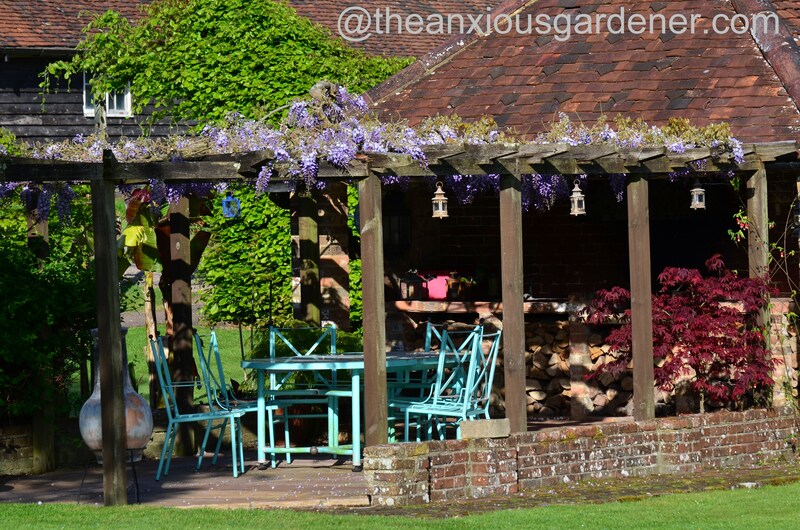 All except your show-off-y wisteria, full of blooms. I was okay till I got to IT. Hahaha. 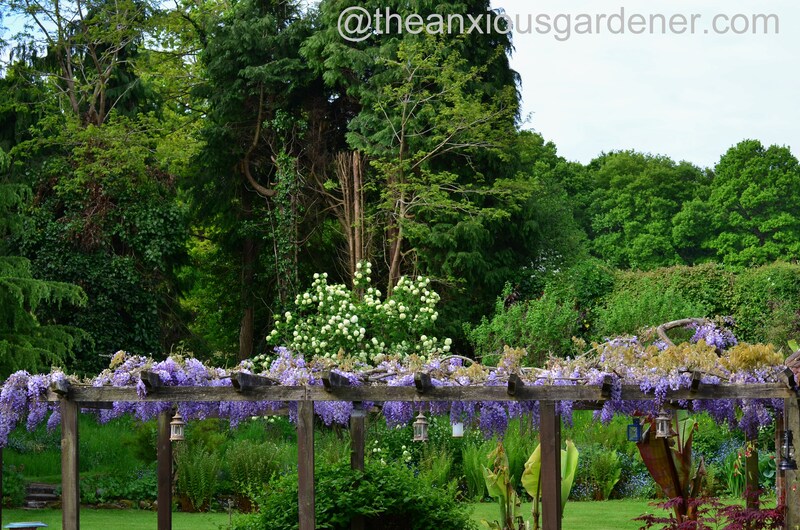 Or maybe I can just close my eyes when I feel a wisteria photo coming on…. 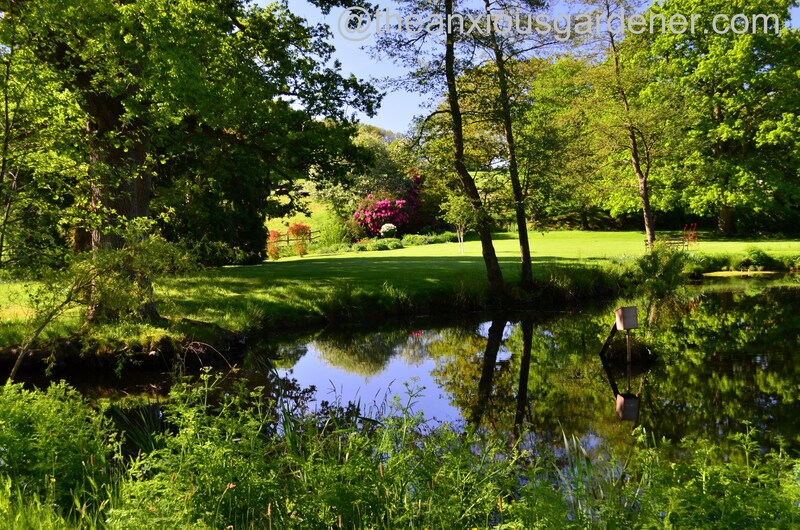 The photos of the gardens and grounds are just stunning; it must be such an amazing experience to take that walk on a gorgeous summer day. I love the splash of vivid color in the bottom photo. I’m becoming more taken with that look all the time — simple backdrop + splash. One of the rooms in the ABQ Botanic Gardens does that really well, especially in hot weather (like now). For some reason it always strikes me as cooling, maybe because I find myself really noticing the sea of green.